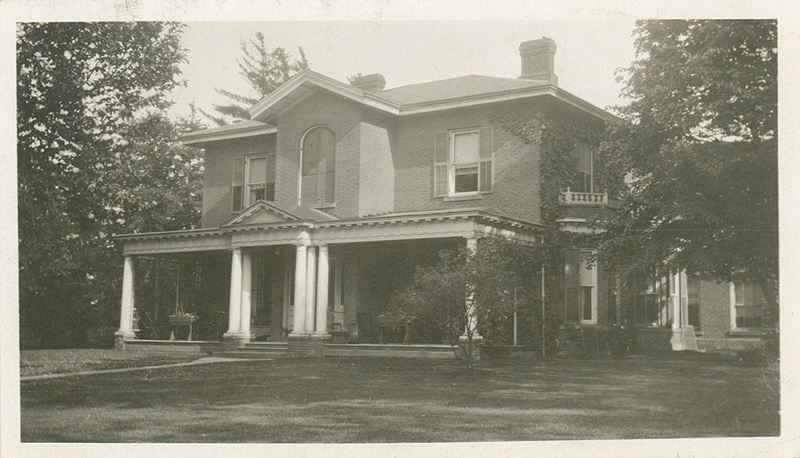 Description: Photograph of the rectory at Dundas, where Sir William Osler lived for several years. The Osler family relocated from Bond Head to Dundas, Ontario, in 1857, when Featherstone Lake Osler, an Anglican minister, was transferred to the Dundas and Ancaster parishes. The family remained there for 25 years. Since that time the structure has received some additions, notably the porch, with white columns, on the front. The back of this photograph contains a note identifying the building that was written by Mrs. Charlotte E. Gwyn, William Osler's sister. This item is the property of the Osler Library of McGill University. For information about acquiring a copy and/or permission to reproduce an image, please contact the Osler Library.